According to an analysis of campaign contributions over the last three elections, women are far less likely to donate to political campaigns than men. Women both contribute a smaller share to the total pool of donations and constitute a smaller percentage of actual donors, according to a new study from the National Council for Research on Women. What’s more, the gap between men and women donors seems to have widened, however slightly, over the last five years. Amongst donors who gave more than $200 to political causes in 2012, only 30.3 percent were women. That’s a slight increase from 2010, when women only comprised 26.4 percent of the same group, but it still means that male donors outnumbered female donors by a factor of roughly 2:1. And in 2008, women constituted 31.1 percent of $200+ donors, which was actually more than in 2012. When it came to actual dollar amount, the difference was even more pronounced: Women gave around 27.1 percent of total donations above $200 in 2012, compared with 68 percent for men. The study also found that men are more likely to give to outside groups than women, who tend to give their money directly to candidates and their campaigns. Also, despite the fact that women are underrepresented as donors, this gender disparity doesn’t crossover to actual candidates. 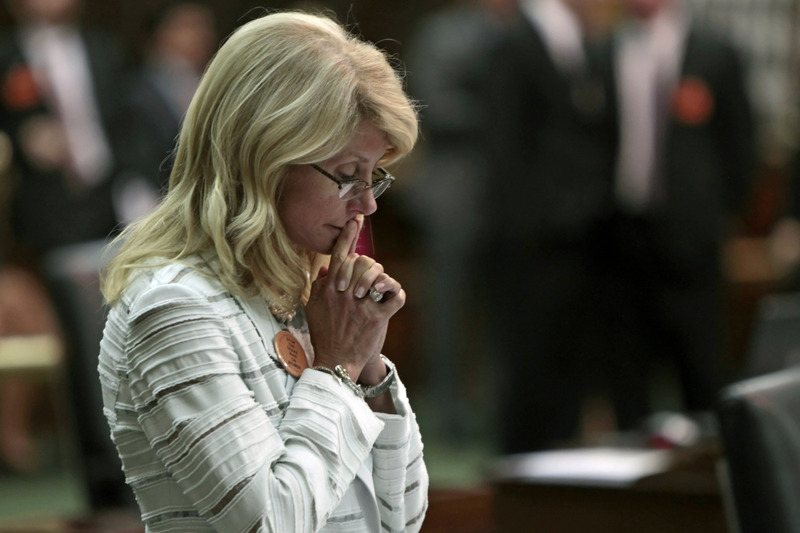 In other words, female candidates generally raise just as much as their male counterparts, which was illustrated this week when Wendy Davis posted better fundraising numbers for her Texas gubernatorial campaign than her opponent, Greg Abbott. [E]quitable campaign receipts may mask the unique difficulties women face to achieve that equity. Additional research has shown that women raise money in smaller amounts, which means they must cultivate higher numbers of smaller individual contributions to reach aggregate totals comparable to men (Crespin and Deitz 2010; Dabelko and Herrnson 1997). In analyzing U.S. House races from 1998 to 2002, Crespin and Deitz (2010) find women’s comparative advantage relative to men in overall individual donations hinged on the advantage they have at lower contribution levels; that “advantage” is perhaps diminished by the fact that female candidates must dedicate greater time and energy to remain financially competitive. Sadly, this gender gap reflects the actual gender breakdown of Congress. Women only make up 18 percent of Congress in the U.S., which puts America in 80th place worldwide when it comes to women’s representation in the national legislature. Countries with a higher percentage of women in Congress include Rwanda, Cuba, Denmark, Germany, Senegal, Saudi Arabia (!) and Kyrgyzstan.